Business chart showing success (https://flic.kr/p/a5M1ZE) by Sal Falko (https://www.flickr.com/photos/safari_vacation/) used under a CC-BY-NC 2.0 license (https://creativecommons.org/licenses/by-nc/2.0/). 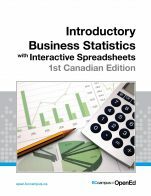 Introductory Business Statistics with Interactive Spreadsheets - 1st Canadian Edition by Mohammad Mahbobi, Thompson Rivers University, Thomas K. Tiemann, Elon University is licensed under a Creative Commons Attribution 4.0 International License, except where otherwise noted. The text covers some areas and ideas of the subject appropriately and provides an effective index but no glossary. Other areas not covered might include Probability Concepts, Index Numbers, Quality Control, and Decision Theory. Because the F-score from the regression, 6.812, is greater than the critical F-score, 4.26, we decide that the data support Ho (should support Ha)and conclude that the model helps us predict price of apartments. Alternatively, we say there is such a functional relationship in the population. I agree that the content is up-to-date, but not in a way that will quickly make the text obsolete within a short period of time. The text is written and/or arranged in such a way that necessary updates will be relatively easy and straightforward to implement. The material is presented in a concise manner with the focus on student understanding versus computing. 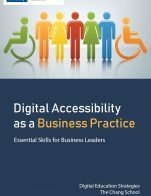 The first 3 chapters are written in lucid, accessible prose, and provides adequate context for any jargon/technical terminology used. However, I found the last 5 chapters to be very wordy and vague adding some confusion. As I elaborated in 2 Content Accuracy and 9 Grammatical Errors: these contributed greatly to my lowered trustworthiness of the content. I have never used a Normal Table that included the mirror image results of the negative Z-values. I would stick to the “normal” Normal Table with only the positive Z-values given. I did not find the Interactive Spreadsheets would be very helpful from a student’s standpoint in understanding “how” answers are calculated. They do allow students to play around with different numbers but I feel that students would not take the time to do this. They would benefit from seeing how the formulas work. The formulas I explored had a very convoluted path and I lost the trail fairly quickly. I agree that the text is internally consistent in terms of terminology and framework. The text is easily and readily divisible into smaller reading sections that can be assigned at different points within the course (there is no enormous blocks of text without subheadings). The text does self-refer to the Interactive Spreadsheets a lot. It could be easily reorganized and realigned with various subunits of a course without presenting much disruption to the reader. I agree that the topics in the text are presented in a logical fashion. The structure is all prose other than the 15 Interactive Spreadsheets. There are very little diagrams, graphs, etc. to accommodate the visual learners. I read the text in iBooks and I found significant interface issues when accessing the Interactive Spreadsheets as none of the Interactive Figures worked (I had to open the Editable version and save them on my computer). I agree that the text is not culturally insensitive or offensive in any way. The use of female and male managers as well as various Canadian Cities in example problems was good. Also, touching on current immigration made it real-world. I found that the formulas were all in a linear format which can be confusing to students, especially when variables are squared 9 squared looks like 92 . I would prefer using an Equation Editor. This textbook is an extremely concise and abbreviated statistics text. It is very practical and to the point. It omits a significant amount of detail that might be a problem for those interested in learning the subject in depth. However, its brevity may be beneficial for those who are not interested in the details, but simply want to know how to perform basic tests. There is very little instruction on how to interpret results, merely obtain them. The content is a very simplistic approach to statistical methods. There is often debate among statisticians as to the proper interpretation of some statistical tools, such as p-values, yet this textbook never gets into sufficient depth to risk making inaccurate statements. It is simple and only covers the surface of many more complex topics. The field of statistics is one that progresses at a snails pace. It is relatively easy to maintain a a statistics textbook up to date, as far as the theory goes. As time passes, the inclusion of more up to date examples will be a relatively simple task. The material is arranged in a way that it builds on itself in a very natural way. I suspects future updates, will contain small revisions in actual content, but will include the simple addition and alteration of examples. The language used feels condescending. Although the topic can be complex, the language shouldn't speak to the reader as though they are a child. In many most cases, the jargon is excessively defined and explained. This makes the text wordy and tends to drag on without adding value. The text is well laid out. Each topic flows to the next in a very logical way. Content builds on itself well. New concepts, terminology and methods are explained well the first time they are introduced. Because the book is extremely concise, new concepts are discussed frequently, but are always well explained. There is never an assumption of prior knowledge. The text is extremely concise. It would be difficult to remove any one section as a separate unit. Each chapter leads into the next. It would be I difficult to reorganize this text in any meaningful way. The text represents a condensed course in a very specific selection of statistical tool. An instructor would likely be required to follow the text as it is laid out. 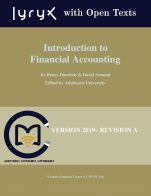 Individual chapters may work as review for students taking more advanced courses, but I wouldn't recommend using any one chapter on its own to learn from. Absolutely. There are very few topics in this concise textbook. Each chapter very quickly covers one specific tools with a handful of examples. 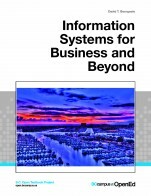 Each chapter covers progressively more challenging material, and each is well based in previously covered material. With so little material in the textbook, it is easy to maintain a relatively linear path of information through the various topics. The PDF textbook worked fine. The graphics appear cheap and unprofessional. Perhaps similar in quality to ones produced by students taking the course. The charts, tables and graphs could be produced in a more professional manner. Some tables were split across pages which makes reading them difficult. Otherwise, everything was clear. None that I noticed. It appears well written with correct spelling, proper grammar and punctuation. The content of the text is very neutral. Statistics is not a topic that is open to much variation in presentation. The examples and applications were all very canadian centric. As this is a Canadian edition of the textbook, this is to be expected. The diversity of the Canadian population seems to be well represented and numerous Canadian cities are used in the various examples. This textbook represents a very concise course in statistics. Without significant additions to the material, it would be difficult to fill a regular length semester. It contains relatively few topics and presents them in an extremely condensed manner. 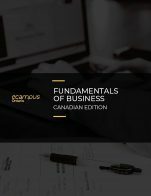 I would recommend this textbook as supplemental to a more thorough textbook for a second year course, or for MBA students who require a refresher. As much as this is a very well written, concise textbook, I would not be willing to use it exclusively for a full semester course for students who have no background in statistics. I would gladly recommend this textbook as supplemental reading or for a student needing a to review the material.